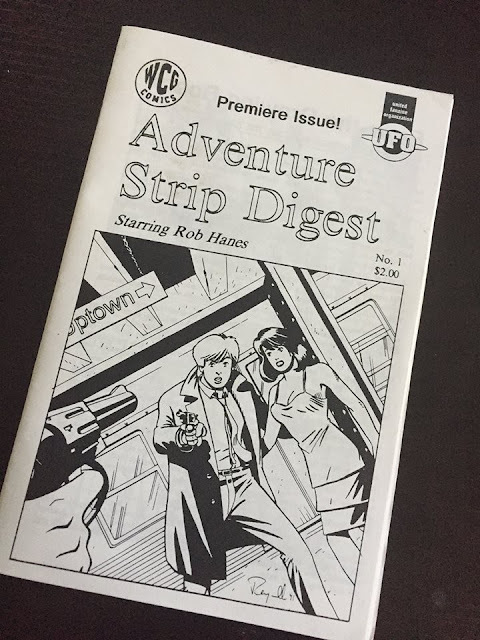 When the Small Press Area debuted in 1993 at the San Diego Comic-Con, WCG Comics—the imprint for Randy Reynaldo, writer-artist of the independent globetrotting action-adventure comic-book series, Rob Hanes Adventures—was among the inaugural class of exhibitors. With the series still going strong, this year's Comic-Con, scheduled July 18–22, will mark Reynaldo's 21st appearance as an exhibitor. Reynaldo and his WCG Comics imprint will be at Booth K1 in the Small Press Area, a location he's held for several years. The 2018 show promises to be especially memorable for Reynaldo—perhaps in recognition of his longevity as an exhibitor and indy publisher, he is a Special Guest at this year’s Comic-Con! A spotlight panel on Reynaldo, entitled “Adventures in Self-Publishing,” where he will speak about his work and experiences and insights as a longtime self-publisher, on Thursday, July 19, 12:30–1:30 pm, in Room 4. He will be joined by moderator Barry Gregory, CEO, Ka-Blam Digital Printing. Attendees will receive a free sample issue and other souvenir items. A new issue of Rob Hanes Adventures (#19) will debut at the show, featuring a new direction for the series inspired by current events, as announced earlier. 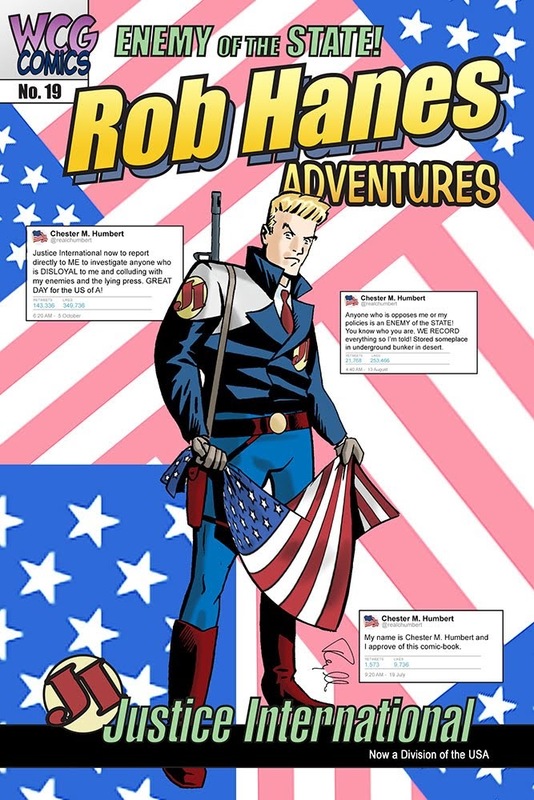 A new trade paperback, Rob Hanes Adventures, Vol. 2, collecting issues 5–8 of the series, as announced earlier. Also available at the booth will be pin buttons and a new collectible bookmark debuting at the show. If you are attending the 2018 San Diego Comic-Con, visit Reynaldo at Booth K1 in the Small Press Area on the main exhibition floor of the San Diego Convention Center, up aisle 1500 (and just off major aisle 1400) on the north end of the hall. For the closest access to the booth from the front entrance, enter through entry doors B1 or B2 and proceed towards the rear of the hall. 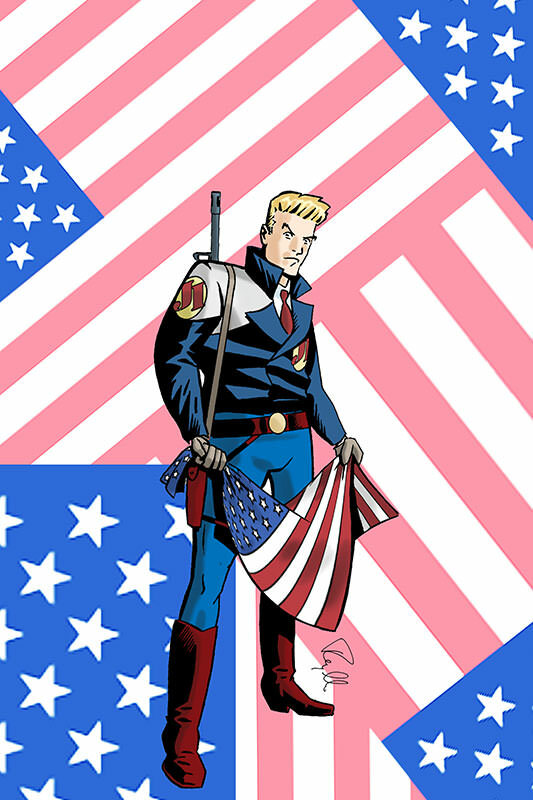 Reynaldo will also be posting on social media throughout the show on Twitter at @randywcgcomics and Facebook. Reynaldo's work first appeared in zine format.